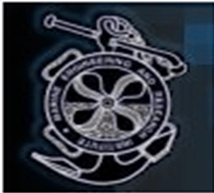 MERI Mumbai (Marine Engineering & Research Institute) is a branch of MERI Kolkata which is headquartered in Kolkata. MERI Mumbai admission is based on IMU CET 2018. There are three campuses in Mumbai under the Indian Maritime University (IMU) Mumbai campus, one is MERI Mumbai. The remaining two are T S Chanakya and Lal Bahadur Shastri College of Advanced Maritime Studies & Research. For Admission to B.Sc. Maritime Science: Candidate must have passed Class 12 Examination with Physics, Chemistry, Mathematics and English at the time of appearing for counselling. Age limit: For the general category, age should be between 17-25 years For SC/ST/OBCs, age limit should be 17-30 years. For Admission to B.Tech Marine Engineering: Candidate must have passed Class 12 Examination with Physics, Chemistry, Mathematics. Candidate should not have secured less than 60% aggregate marks in PCM and 50% in the English language. There is no direct admission in MERI Mumbai. Prospective Candidates have to appear in IMU CET 2018 and they will be shortlisted on the basis of the IMU CET 2018 Counselling. MERI Mumbai Selection process: The selection process of MERI Mumbai (MERI Mumbai) will be based on the IMU CET 2018 Score. The candidates have to appear in IMU CET 2018 for Admission to MERI Mumbai. IMU CET 2018 question paper will be multiple choice type with four options to choose from, out of which only one is the correct answer.